VS was engaged to design and renovate this 4 room Build-To-Order (BTO) HDB flat at Fernvale Road in Seng Kang. A couple who loves travelling asked VS design team to create a feature wall in the living room to display souvenirs that they had collected from different countries throughout the years. Also in favour of a warm ambiance to their new home, VS proposed a design which reflects their lifestyle. A rustic old world map feature wall is designed as an open showcase with magnetic function so the couple can display their collectibles on shelving and removable magnetic texts and graphics. It stretches all the way to the TV console feature wall which has the same theme using crate boxes feature. A section of the wall was hacked and removed to reveal a open concept Kitchen. 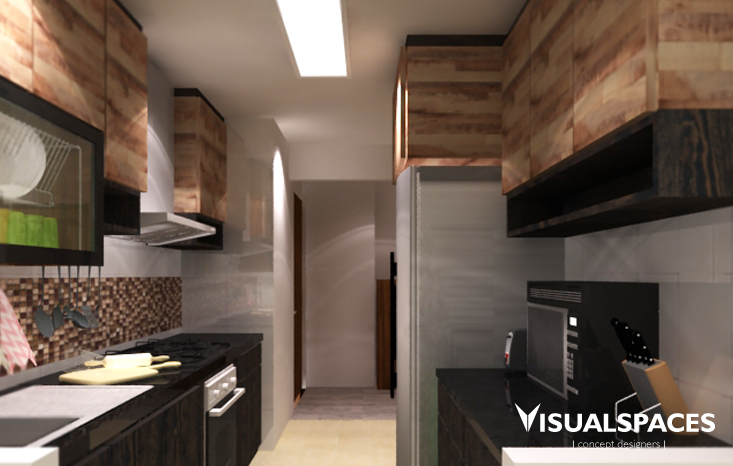 To blend in the overall theme, VS has continued to create a rustic look for the Kitchen so that it blends in with the Living and Dining Area. 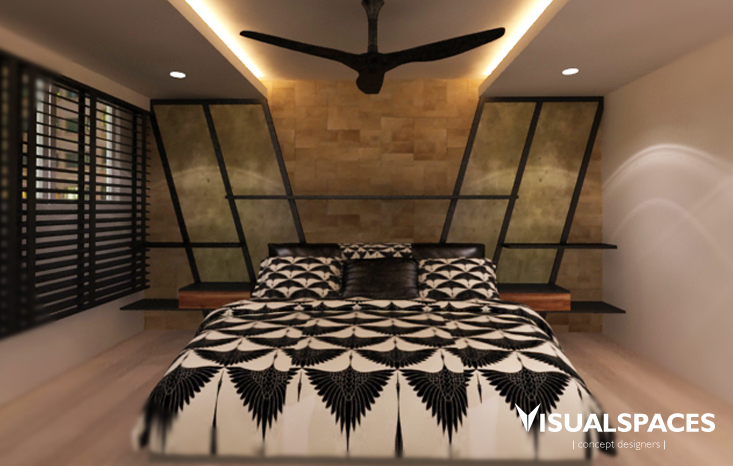 A minimalist design concept was proposed to the Master Bedroom Bed Head area which doubled up as a feature wall with display shelving and wallpaper. A bedroom was sealed and hacked down to create a walk-in wardrobe next to the Master Bedroom. 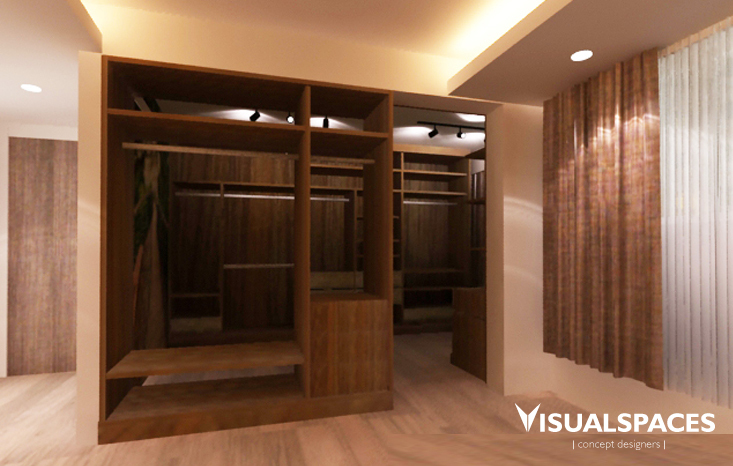 With an open concept wardrobe, the female owner wish to display her luxury bag collections as a form of display showcase and boutique style wardrobe.